You can now download iOS 10.3.3 public beta 2 as well as macOS 10.12.6 public beta 2 on compatible iOS and Mac devices. Here are the details. Apple has today released the second public beta of the latest versions of two of its major operating systems. Following hot on the heels of yesterday’s release to registered developers, the company has now officially pushed out iOS 10.3.3 beta 2 and macOS 10.12.6 beta 2 to those lucky individuals registered on the official Apple Beta Software Program. The release immediately widens the testing pool of individuals looking to get iOS and macOS to the next level. iOS 10.3.3 Public Beta 2: It’s a funny time for testing of Apple’s operating systems given the fact that the WWDC 2017 is just around the corner. With iOS 11 expected to be seeded just next week, it’s difficult to get overly excited about what is essentially a minor point update in iOS 10.3.3. However, 10.3.3 is here, it’s currently in beta, and it needs to be explored thoroughly by Apple, developers, and testers. Unfortunately for those testers, there’s very little to get excited about unless you are a fan of under-the-hood improvements, bug fixes, and low-level security patches designed to make the platform a more enjoyable experience. Owners of the 12.9-inch iPad Pro will also be able to benefit from a number of new coastal wallpapers designed to perfectly take advantage of the stunning large display of that device. 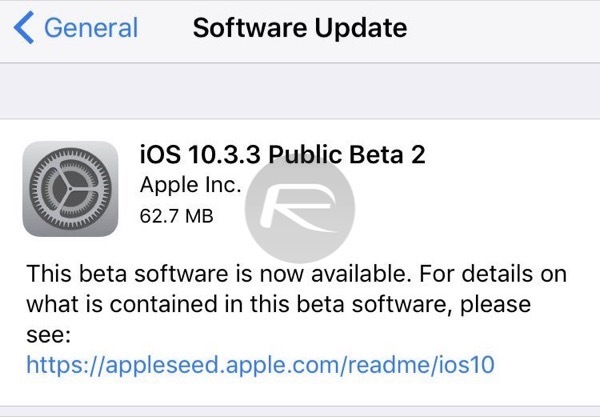 For those registered on the Apple Beta Software Program and have configuration profile installed, the iOS 10.3.3 public beta 2 OTA is available right now. Simply head over to Settings > General > Software Update to grab the update. 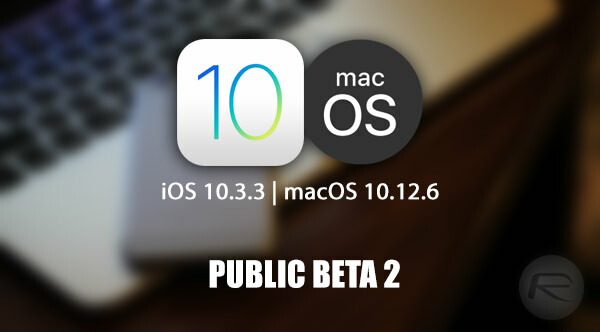 Those new to public beta though will have to head over to beta.apple.com to get started. macOS 10.12.6 Public Beta 2: macOS 10.12.6 will in no way be as popular as iOS 10.3.3 given the number of iOS devices in circulation, but there will still be significant numbers of people on the public program ready to test the platform. This relatively minor point update doesn’t come with any outward-facing changes or huge performance improvements. Instead, it’s nothing more than a relatively insignificant point update with incremental under-the-hood improvements to get the Mac crowd ticking along until WWDC. The download of latest pre-release seed of macOS 10.12.6 public beta can be initiated directly from beta.apple.com by those on the Apple Beta Software Program. It can then be accessed via the Updates tab in the Mac App Store. It’s currently unknown how many betas Apple will seed as part of this process so it’s worth grabbing these now while it’s possible.